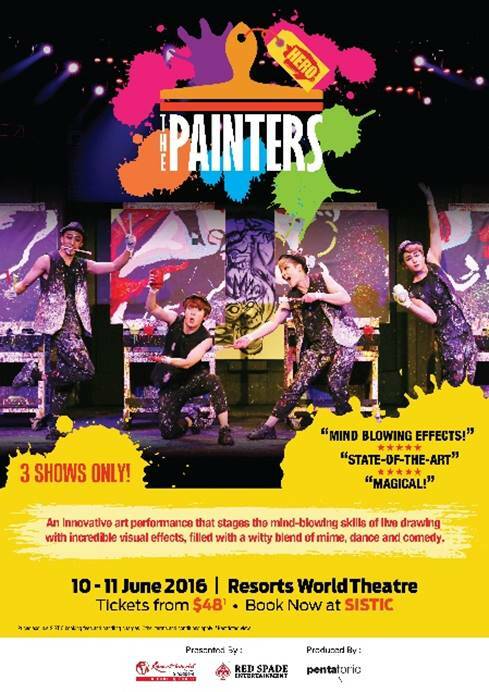 Singapore, 10 March 2016 – Not only one, but two of Korea’s most popular art performances, NANTA (Cookin’) and The Painters: HERO, will be here in Singapore this year with shows running from 3 June 2016 to 11 June 2016 at Resorts World Theatre, Resorts World Sentosa (RWS), Asia’s ultimate destination resort. With these two internationally acclaimed Korean acts timely brought to Singapore during the school holidays, audiences are in for a treat with entertainment for both children and the entire family alike. Purchase tickets for both shows together not only to enjoy an additional discount of 30%*, but also to revel in the full experience that these Korean acts have to offer. Audiences can expect to be kept on edge throughout both high energy Korean performances, constantly anticipating the performers’ next move, especially with never-before-seen content from The Painters: HERO and the best team yet performing at NANTA (Cookin’) this year. The high engagement rate of audiences through participation in both Korean shows allows audiences to fully immerse themselves in the each show using all five of their senses, making the shows all the more successful and popular. 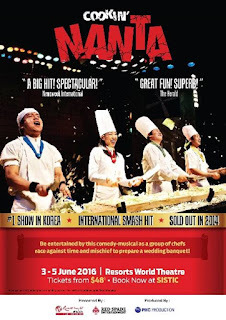 NANTA (Cookin’) is a highly successful comic musical non-verbal performance that has reached out to an audience of over eight million around the world, including the U.K., Japan, Germany and Australia, since premiering in October 1997. Direct from South Korea, this amazing theatrical spectacular is Master Chef meets Stomp. Conceptualised from the traditional Korean instrumental performance, “Samulnori”, the professionally trained chefs bring a whole new experience by combining the art of music and culinary to create magic on stage, the likes of which you have never seen. 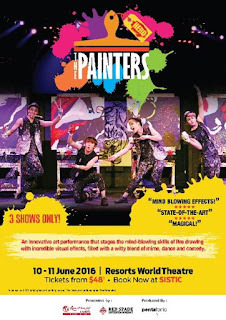 The Painters: HERO, the mind-blowing innovative non-verbal art performance that couples 3D video art together with action-filled performances of dance and comedy, will be back in Singapore with absolutely brand new content this year. The Painters: HERO reached over two million international audience with 7,000 shows within five years in Seoul and Jeju theaters. The show focuses on re-creating all-time favorite superstars such as Michael Jackson, Bruce Lee and even Superman through their own interpretation in art form. “Exciting process of making art, and the unexpected turns and twists of each scene makes The Painters: HERO an outstanding performance.” – Audience. The 1,599 seat theatre at RWS will welcome one of the finest team of performers all the way from South Korea to take the stage this year with their stunning non-verbal acts, adding to the extensive list of shows that RWS offers and appealing to audiences of all ages. NANTA (Cookin’) 2016 and The Painters: HERO 2016 is presented by RWS and Red Spade Entertainment. For more information on NANTA (Cookin’) 2016 and The Painters: HERO 2016, please visit http://www.sistic.com.sg/events/nanta0616 and http://www.sistic.com.sg/events/hero0616. Public ticket sales start from 10 March 2016. 30% discount when you purchase tickets for both shows together. * Minimum purchase of 2 tickets per show, available for all categories except cat 4. Tickets are available via SISTIC’s sales channels.